After a long holiday, I’m back! I really missed making soap. 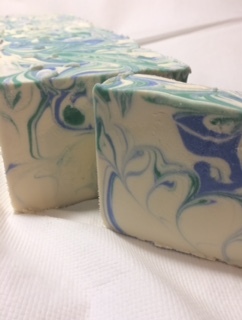 I cleaned and organized my soap studio (so I won’t be able to find anything for a while) and made some Spearmint Eucalyptus Swirl.